The sleek new GPSMAP® 64st Worldwide GPS Receiver (Preloaded TOPO U.S. 100K maps, 3-Axis Electronic Compass, Barometric Altimeter, Wireless Connectivity & 1-year BirdsEye Satellite Imagery subscription) from Garmin® features a 2.6" sunlight-readable screen and a high-sensitivity GPS and GLONASS receiver with a quad helix antenna for superior reception. A high-speed USB interface allows quick transfers and charging the optional NiMH battery pack made by Garmin®. The device includes 8MB internal memory and a microSD card slot for additional data and maps. 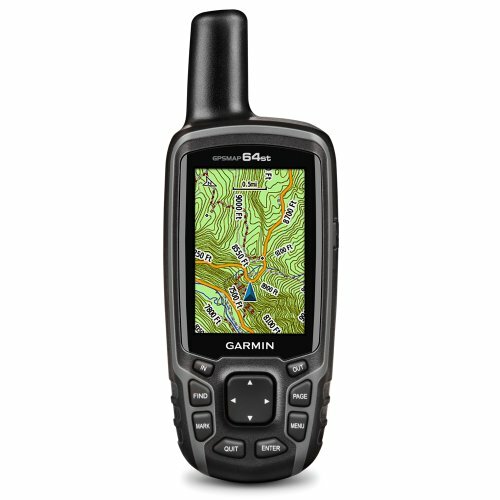 GPSMAP® 64st supports paperless geocaching with 250,000 preloaded worldwide caches with hints and descriptions from Geocaching.com, and has a 16-hour battery.